Merry Christmas Everyone ! The DerRic Starlight Christmas Show Comedy Tour is Now On ! 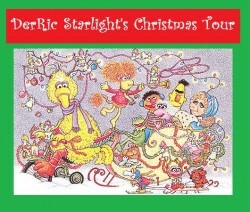 The DerRic Starlight Christmas Show Tour 2011 ! Dec 5-23-2011 Starring ! DerRic Starlight "oh my God I Love all Dearly " Granny and Winddancer "book now and don't be lazy" / "ever sick" Chief The Warrior and Marty "hes a good guy I don't care what they say ! / book now or my cousins will come over there ! Kermit and Miss Piggy "you owe us from last year ! " / " oh my dearset and most lovely and precious DerRICCC .......Pay Up Buster ! Plus Disney and Hanna Barbara Characters and DerRics Own Unique Brand of All Ages Down Home, Style Rez Humour ! ------------------------------------------------------------------------------------------- Current Open dates are ! Dec 13,18,19,20,22,21,22,23 For More Info and Bookings Call Eddie 204-982-7664 eddie@bookmyact.com or Click Here to Send a Booking Request -------> Merry Christmas !